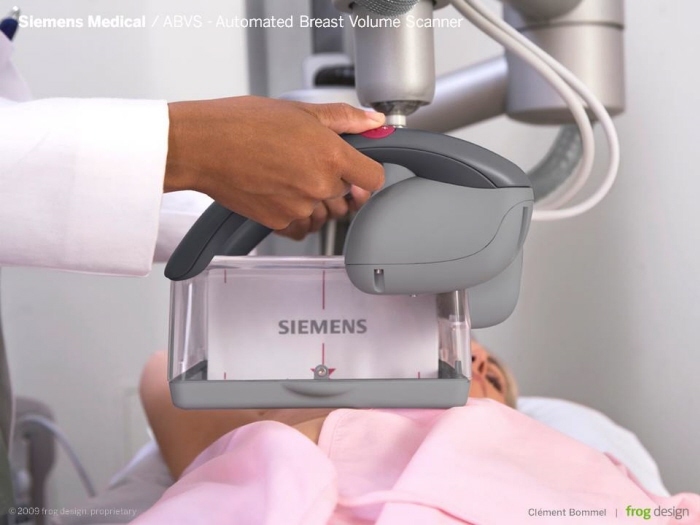 Siemens Medical - Automated Breast Volume Scanner - Siemens' Acuson S2000 ABVS is an ultrasound system intended for the early detection and diagnosis of breast cancer. 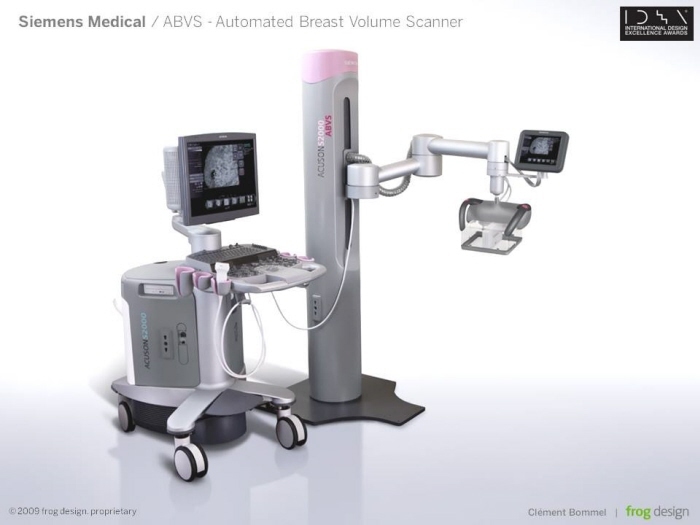 With the ABVS, the doctor can inspect the patient's breast using a moving ultrasound scanner, which easily reaches all areas of the breast, offering a precise tridimensional view of the tissue. 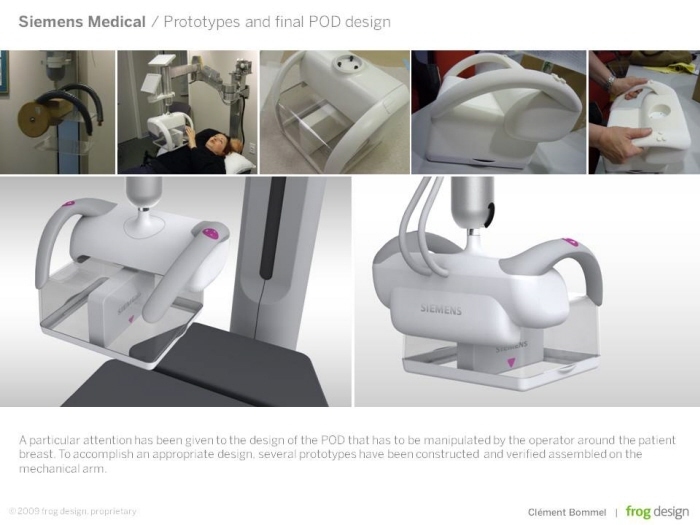 Siemens Medical - POD refinement - A particular attention has been given to the design of the POD that has to be manipulated by the operator around the patient breast. To accomplish an appropriate design, several prototypes have been constructed and verified on the mechanical arm. Siemens Medical - Final POD design - Final POD design. 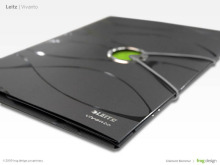 Siemens' Acuson S2000 ABVS is an ultrasound system intended for the early detection and diagnosis of breast cancer. 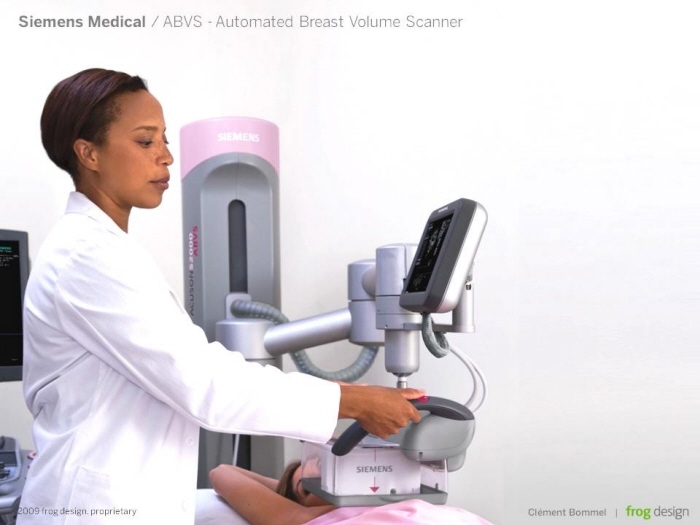 With the ABVS, the doctor can inspect the patient's breast using a moving ultrasound scanner, which easily reaches all areas of the breast, offering a precise tridimensional view of the tissue.